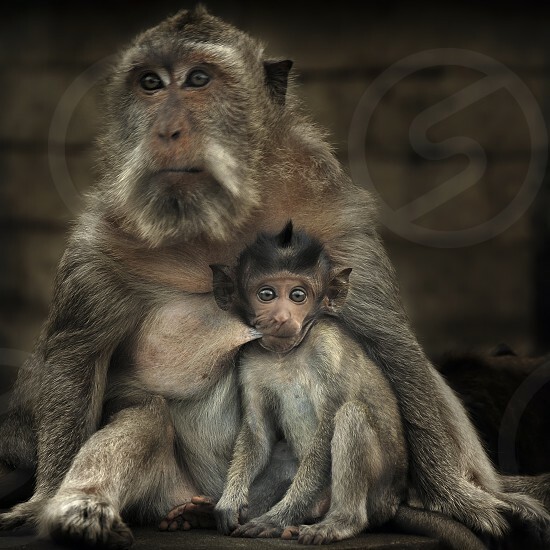 Long-tailed Macaques (Macaca fascicularis), mother and baby. On the island of Bali, the long-tailed macaques like to hang around near humans as they often are given a bite to eat. You often see them around temples.